Auckland will triple in population come November 1 thanks to the consolidation of local governments. They’re calling the new entity the “Auckland Super City.” It really surprised me when I first heard the name. After living in Auckland for nine months, I had no idea there was a city in New Zealand. There is a city here, as it turns out. At least on paper. And that paper’s going to get a lot bigger when the Super City replaces the seven district- and city-governments (and one regional body) with an über-governement comprising a mayor and a 20-member council. Affected residents on October 9 will elect their first Super mayor, a position that comes with a handsome $250,000 salary. Some people think this consolidation is being done to economize through shared services and reduced governmental overhead. 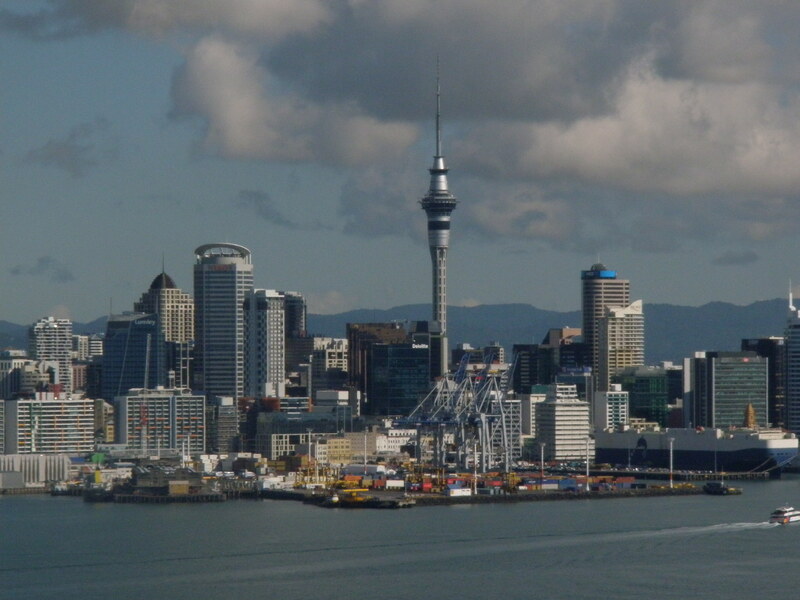 Others say Auckland had no choice as consolidation was the decision of a long-running session of SimCity 2000, which has been responsible for all of Auckland’s urban planning and economic development for the last 15 years. SimCity Auckland as seen from Devonport on the North Shore. Auckland is currently home to 440,000 Sims. That will increase to 1.4 million (about one-third of New Zealand's total population) when suburban and rural districts get absorbed into the Super City, at which point Auckland will have a larger population than Brisbane, Australia, and thus be superior. The best reason for consolidation I can think of, however, is that Auckland, at long last, will finally be bigger than Brisbane, Australia, the most-reviled of Auckland’s sister cities and its greatest arch-nemesis. And bigger is always better down under. In fact, Brisbane should just pack up its stuff and move to Sydney because when you think about it, Auckland is better than Brisbane in so many ways already. 1. Auckland has funnier window displays. Brisbaners would never in a million years come up with something like the giant boot you see above for any of THEIR window displays. 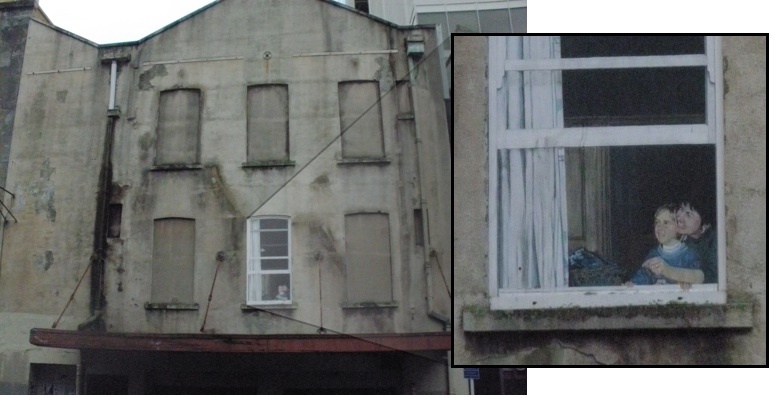 Giant novelty items are so commonplace in Auckland that residents have developed a sophisticated and insouciant attitude toward all outrageously disproportionate window props. Not so the Brisbaner. 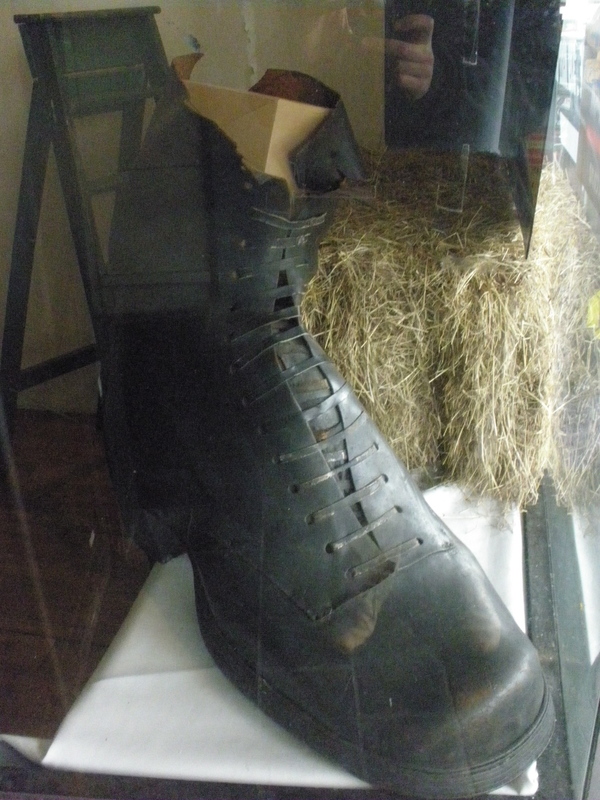 If a Brisbaner saw a giant boot in a store window, he would be quite nonplussed by the curious item. “I would certainly like to meet the giant amputee who only needed one boot THAT size,” a fellow might say. 2. Auckland’s trompe l’oeil murals are more illusionistic than Brisbane’s trompe l’oeil murals. I doubt any Brisbaner visiting Auckland has ever seen the above mural since it’s directly across the street from a library and the only time a Brisbaner goes anywhere near a library is to sleep-off a hangover until the pub opens again, if you know what I mean. But for the sake of argument, let’s say a Brisbaner did happen to come across the above mural. That person would be very confused. Auckland’s trompe l’oeil technology is decades ahead of Brisbane’s smiley suns and houses with curlicue chimney smoke which is the cutting edge of art in Brisbane. A Brisbaner who saw the above mural would stop in her tracks, scratch her protruding forehead with her beer bottle and shout in her barely comprehensible lingo. 3. Aucklanders are surrounded by volcanoes and guess what, Brisbane? They don’t mind. 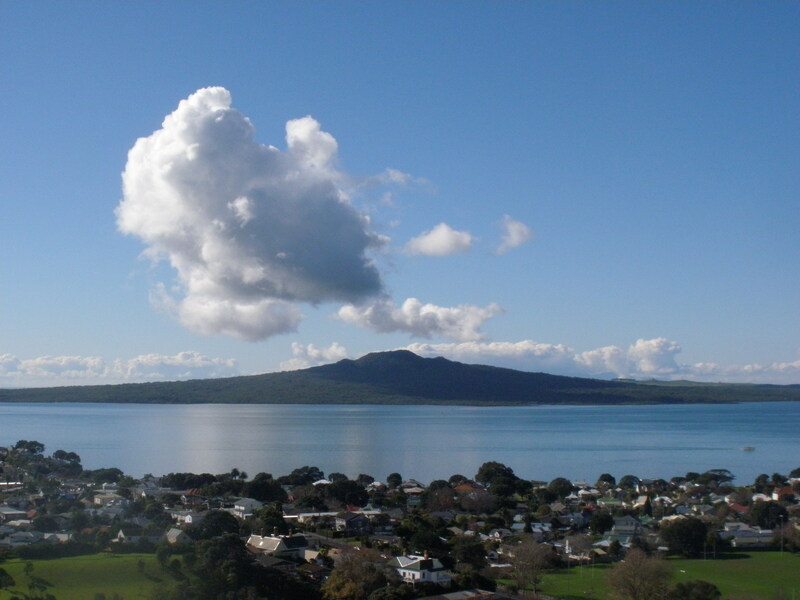 Rangitoto formed after a series of volcanic eruptions between 600 and 700 years ago. Have you ever stopped to wonder why Brisbaners live 2,287 Kilometers from Auckland? Did it ever occur to you that the reason for this is because they’re afraid of living near Auckland’s volcanoes? After all, there’s a five percent chance that a volcanic eruption will occur in the Auckland area over the next 50 years. Aucklanders don’t care. Aucklanders look death in the face and say, “No worries, mate.” (To be fair, Aucklanders say “No worries, mate,” constantly and for no reason, but still, you get my point.) Brisbaners don’t do that. Nooooo. They stay as far away as possible from Auckland. Brisbaners just don’t like to live on the edge the way Aucklanders do. Is this Auckland or Brisbane?……..or Alabama. OMG…..that’s not at all what I intended to post. First Super Mayor of the First Super City?? S-P T Eskow for Super Mayor!! I thought about it, but I haven’t been polling well in SimCity.